What is the "Δι Eleusis - Wellness & Arts Festival" and where will it take place? The "Δι Eleusis" Festival is an international gathering for wellness and art. 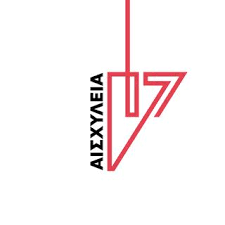 It will take place from Friday the 12th to Sunday the 14th of May, 2017, in the city of Eleusis, European Capital of Culture for 2021. It will be hosted at the impressive spectacular Palaio Elaiourgeio, a former soap factory, where the Aeschylia Festival takes place. Why was the city of Eleusis chosen? What is the purpose of this festival? The organizers aim in the promotion of self-awareness and self-improvement, through spiritual and physical practices. The goal is to present and show how the arts, science and alternative approaches for wellbeing can coexist and work together in many cases. They are exploring our relationship with nature and the environment, sharing the knowledge inherited from the past and the practices of our ancestors. Inspired by the history of Eleusis, and the famous Eleusinian Mysteries of antiquity, to the industrial development and the transformation of the city into an international cultural hub. What are the objectives of the festival? The aim of the event is to assert a clearly international character. To become an institution that will provide knowledge and information from around the world, indeed from different fields of action, but mainly to project a positive message of a better life for all of us. What exactly is the content and how it will be presented to the public? During the festival, visitors will have the opportunity to meet dozens of alternative therapeutic systems and learn about diseases that dominate the life of modern man. They can participate in invigorating speeches and workshops that will suggest simple ways of crisis management. These arts will be presented as therapeutic tools, either through interactive games for children and adults, or as recreational methods. These actions will be completed with lectures and presentations on nutrition, prevention, positive psychology etc. The three-day program will be held by academics, artists, professional therapists, institutions, university foundations and art groups, from Greece and abroad. Among them we find renowned personalities from all fields of knowledge. What makes Δι Eleusis festival so special in comparison to other similar events? At the Δι Eleusis festival, traditional medicine meets alternative healing. The arts go hand in hand with the philosophical past of Eleusis. Ecology is promoted via new technologies. The festival consciously invests in Culture, which is connected with the promotion of the soul's exaltation, the spiritual quest and all kinds of creative reflection. Above all, the festival's content does not divide by enhancing introspective processes, but instead it connects through the synergies of different approaches. Facing modern man as an integrated entity and recommends ways and healing tools. Our goal is to contri­bute to the promotion­ of self-improvement,­ through spiritual an­d physical activities­ and practices. Workshops, Lectures, Seminars, Presentations, Healings, Performances and many more in the city of mysteries, the European Capital of Culture for 2021 city of Eleusis. Informations about tickets, program and the participants are available in our site www.eleusis2017.space The worldwide Δι Eleusis Wellness & Arts Festival, hosted for the very first time at magnificent Old Soap Factory to Eleusis Beach from Friday 12 to Sunday 14 of May 2017.